Maybe never! Check out this amazing price and get yourself to the Jewel Paradise Cove Resort & Spa. (Really - we wouldn't disappoint you.) Call in sick, or tired, or whatever, but make a point to go to this resort! There is so much to do - or not, and the staff is amazing. Seriously, they take care of it all. You just sit back and let the pampering begin. With warm Jamaican sunshine, breathtaking ocean views, and miles of sandy beaches, you’ll soon see why people flock to Jamaica over and over again. And, part of its charm, is the beats of reggae, the authentic jerk chicken and the warm friendly people. It won’t take you long to fall in love with this island in paradise. You'll find passion in this resort! Discover serenity at this premier oceanfront, all-inclusive, adults-only resort on Jamaica’s famed North Coast. Enjoy the Jewel Paradise Cove Exclusives including Dining Under the Stars, Gem of the Day Cocktails, Dive-In Movies and more, 7 superb dining options, 6 bars including swim-up bar and in-pool concierge, 3 pools, complimentary resort-wide Wi-Fi, superb dining options, nightclub, complimentary green fees and transfers to the nearby 18-hole championship Runaway Bay Golf Club, non-motorized watersports ( (kayaks, peddle boats, Hobie Cats), tennis, 2-story oceanfront fitness center and optional full-service Radiant Spa, 10-station Fit-Trail®, plus great value adds, including: Glass Bottom Boat Tour, Konoko Falls Excursion, Reef Snorkeling Excursion and Shopping Trip to Ocho Rios with a stop at Margaritaville, Yoga Retreat weeks, plus more. Time to feed the tummy? Head to one of the 7 restaurants, offering a variety of cuisine options, from sushi to pizza, to buffet-style dining. Platinum (dress code - long pants for men, resort casual for women) is the most formal option, with multi-course meals and its own wine cellar. Reservations aren't needed at most venues, but they are required at Jade Samurai (a teppanyaki restaurant that's one of the resort's most popular) and Golden Sabre Sushi. In addition to the options for dining, you will enjoy the 24-hour room service menu. Finally, you can enjoy the all-inclusive Candlelit Dinner Under the Stars. This six-course meal will be an experience like no other. Cocktails? Did somebody say poolside cocktails? Six bars offer cocktails and exotic tropical options, including the Gem of the Day, which is the resort's daily specialty drink. And 3 swim-up bars, ensuring there’s plenty of seats — and cocktails — for swimmers’ delight. Try Jaspers Chillin' Pool & Piano Bar at Jewel Paradise Cove; Just because the sun goes down doesn’t mean the fun ends, with a piano and custom-concocted cocktails -get ready for a fun social time! And lastly - Grab a hand-crafted cocktail, then dance the night away. At Bling! It is a great way to take advantage of a comfortable and beautiful room or suite set in one of five three-story buildings. 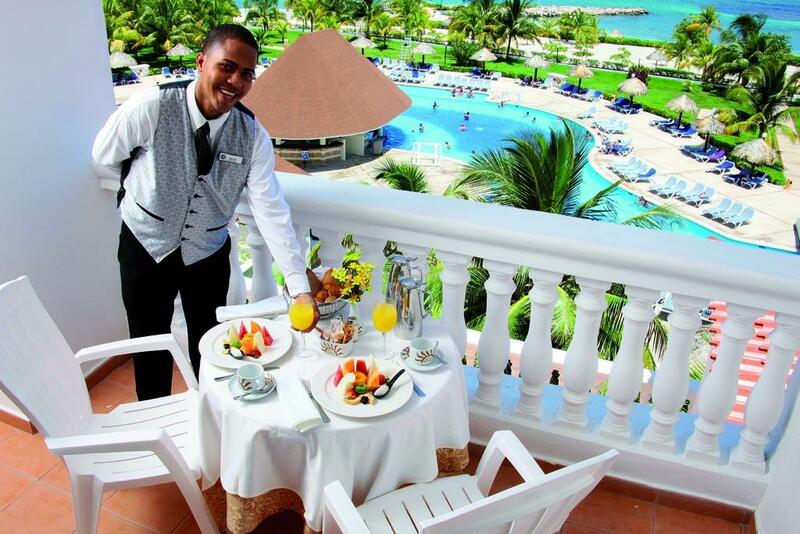 Somehow any menu item will taste better on your balcony overlooking the Caribbean Sea (for rooms with an ocean view or oceanfront view). Named for natural forms of rock and gemstones, each building offers guest rooms with either garden, pool, or ocean views, and some are set along the oceanfront. The most sought-after guestroom (Oceanfront Concierge Guest Room - Also a higher cost room) boasts ocean front views of the Caribbean Sea with plush white bedding and classic tropical textiles. These guestrooms offer elegant amenities creating an exotic ambiance. The mini-bar is stocked and replenished with water, beer, wine and a premium liquor package with mixers and coffee/tea service. Internet access is wireless and complimentary Concierge is included. The Concierge is available to assist in special seating for dinners, shopping advice in-suite check-in, unpacking and pressing of clothing, turndown service, drawing of a scented bath, pre-arranged treatments at the Radiant Spa, room service, and much more. You can even ask them how to see the best of Jamaica during your stay! Also on property (on the family side) three pools, a 180-foot double-loop waterslide, and two secluded beaches make for the ultimate in fun in the sun and water. Land lovers will be excited to play tennis, attend an aerobics or dance class, dance away at a beach party or in the Bling! nightclub, play beach volleyball or soccer or strike a pose in a yoga class. Water sports and activities common to many all-inclusive resorts are water aerobics, kayaking, snorkeling, sailing, pool volleyball, and windsurfing. However, the all-inclusive Jewel Paradise Cove goes above and beyond for guests in the area of activities - both on land and in the water. Extra activities that Jewel Paradise Cove includes in the All-Inclusive Plan that are usually not covered by other resorts include the Dunn's River Falls tour, golf greens fees at the 18-hole championship golf course of Runaway Bay Golf Club, even scuba diving for PADI certified divers! Active vacationers will never be bored! Those who want to slow it down for a while can visit the Radiant Spa for a full menu of services, available for a fee, such as a facial, body wrap, or a massage chosen from a variety of options. All treatments are performed by trained professionals. Try staff-led, spinning or yoga class, nature hike or beach cricket. There’s also a jogging trail with ten different fitness stops along the way and an on-site smoothie bar for a healthy treat. You might find yourself returning more than once to the spa. 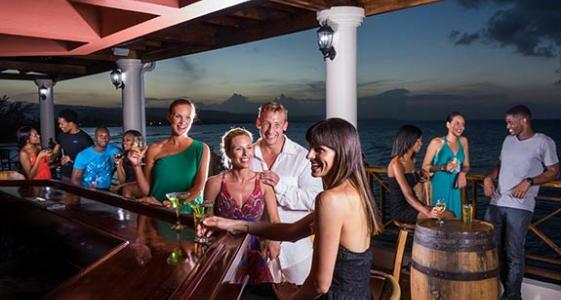 Jewel Resorts offer a range of exclusive services and amenities at their all-inclusive resorts in Jamaica. The pool concierge will go anywhere to deliver some fresh fruit or a Gem of the Day cocktail, including into the pool where a guest floats on a raft. In addition to the fabulous pool concierge, the Dive-In Movies shown on a large outdoor movie screen with Jamaican jerk popcorn, are unique to Jewel Resorts. In addition to all that is covered by the all-inclusive plan, many extras are available for a cost, such as: shopping in the gift shop or nearby on a shopping excursion, beauty treatments in the salon, and various excursions popular to Jamaican tourists. These include Dolphin Cove, Mystic Mountain, Margaritaville, Ocho Rios shopping, Fern Gully, Chukka Adventure Tours, and Green Grotto Caves. We should mention: A resort fee is included in the total price displayed. Guests under 18 years old are not permitted at this adults-only property. No pets and no service animals are allowed at this property. Me or the Resort? Me of course! LOL! Can you think of anything more relaxing than laying in a hammock, by the sea, with tequila sunrise, pina colada, ice water or whatever in your hand? You'll feel as if you've walked into a dream when you enter the crown jewel of the Barcelo Maya Beach resort complex: the luxurious all-inclusive, Barcelo Maya Palace Deluxe. So, if you're up for a deluxe Beach Palace on the luxurious Riviera Maya (and who's not? ), where you can chill out by the clear, turquoise waters of the Caribbean Sea, then grab your suitcase. I've got the Deal! Barcelo Maya Palace is perhaps the finest resort in the Barcelo Complex. 5 Resorts make up the complex and you have privileges at all 5! Stay at one resort, play at five. Truth is, this Beach Prize Winner has it all: rockin' fitness center, 24-hour all-inclusiveness, free-flowing food and drinks, cool Colonial-style architecture, 11 pools, one designated the “Activities Pool”, and another with a natural rock waterfall, complimentary lounge chairs and hammocks are there to cool you off., three water parks, a 33,000-square-foot U-Spa, lots of sunny activities and fun under the moonlight. Was that applause we just heard? Thought so. 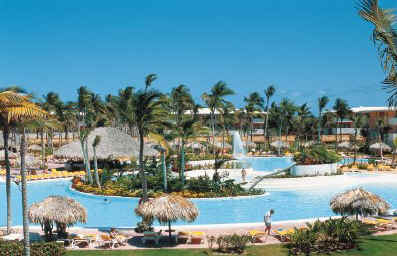 The Barcelo Palace consists of - 3 spectacular pools, one for adults only and one water park for kids. It features a gym, shopping center, U-Spa, mini club and the U-Kids Spa. The main pool has a water surface of 3,500 square feet and is the center stage of the daytime activities, with aquaerobics classes and entertainment, as well as a swim-up bar and underwater loungers. Enjoy lively music from morning until evening. Sitting on the beach makes a perfect haven for water sports, including snorkeling, sailing, and windsurfing. Stay on the move with an activities schedule that is new every day. Grab your team and head to the professional soccer field or stop by one of the nine lighted tennis courts. Challenge a friend to some basketball or try your hand at archery. Dive into the sparkling ocean for some kayaking, windsurfing, or catamaran sailing! 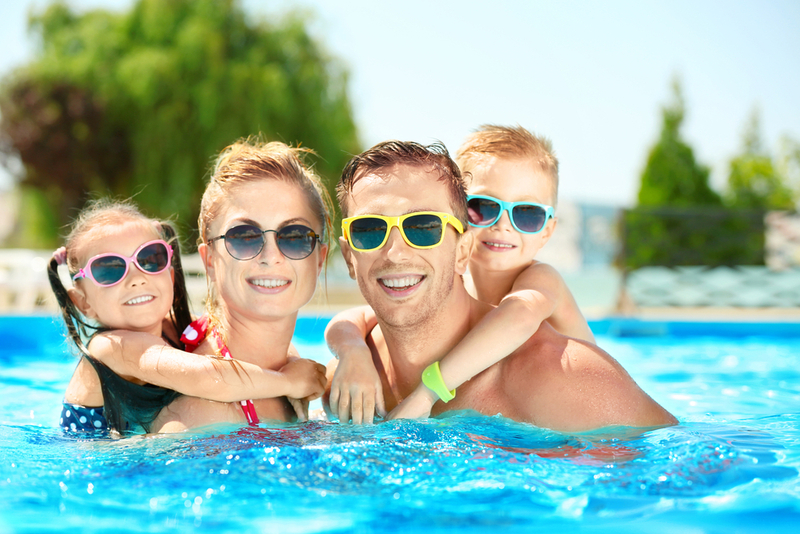 Family can have splashy fun too! There's the Pirates Island Water Park (additional $), with slides and attractions designed for all ages. Or try surfing on the Surf Rider wave pool (additional $). Kids are invited to the Barcy's Kids' Club for fun activities all day, the Teen Club for kids over 12, the children's waterpark, and don't forget the miniature golf course. 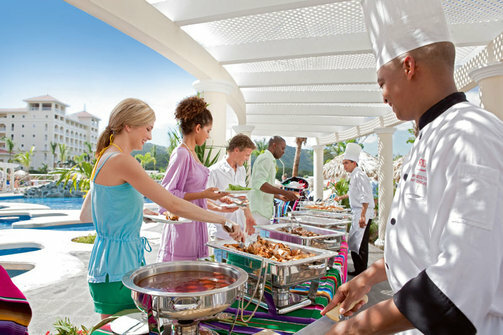 To complete your Caribbean dining experience, five bars pour free-flowing international and local beverages. Your all-inclusive package also includes access to all of the restaurants and bars of the complex, giving you 20 restaurants and 17 bars. Fancy some nightlife? Take in dynamic live shows and then hop on the complimentary Express Maya Train to Jaguar's disco to dance until the wee hours of the morning! 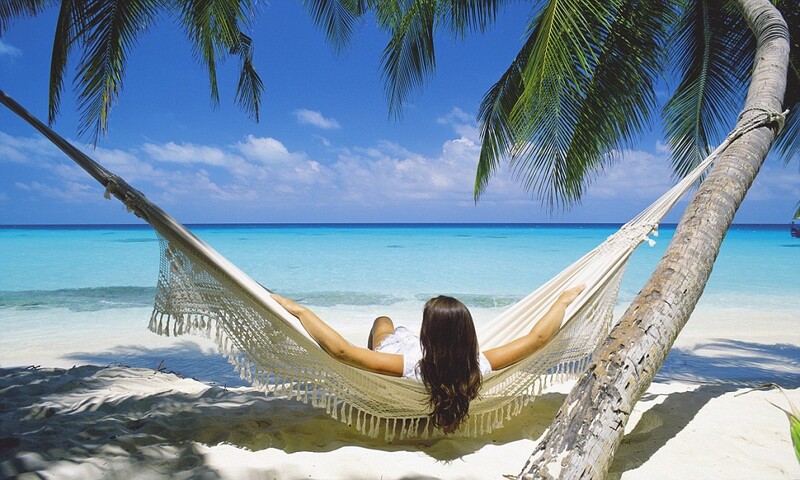 Is relaxation your goal? Step back in time into the 16,000-square-foot U-Spa inspired by Mayan philosophy, with a spectacular Temazcal, a Mayan steam bath. Additional features include a Floatation tank, Hydrotherapy tank, Swiss shower, Aromatherapy, and Reflexology. After a full day of all inclusive entertainment and activities, make your retreat to your luxurious suite for a good night’s rest as you prepare for another day and night of adventure on the Mayan Riviera. 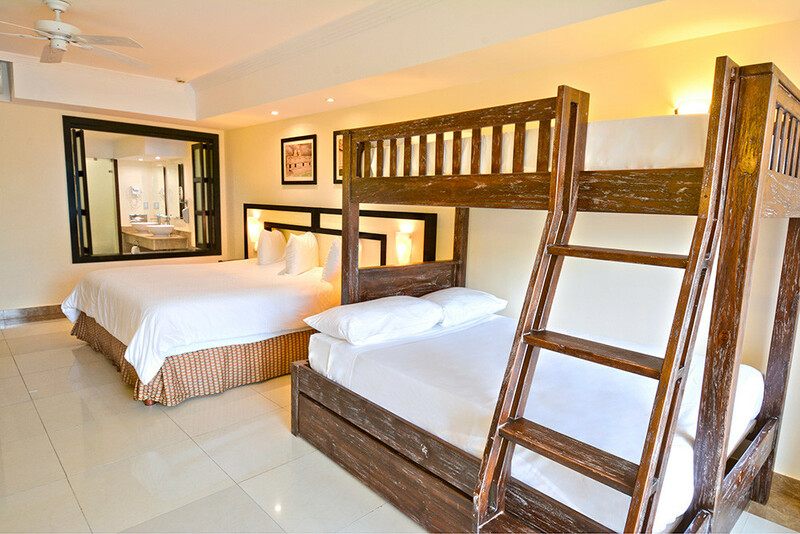 Every junior suite includes a private balcony, mini-bar, living room with sofa, desk, flat screen LCD TV, bathrobes, and a choice of one king or two double beds. Barcelo Maya Palace provides you with plush living space and astonishing views. If you decide to venture out of the resort, just a short distance from the resort, you’ll find the celebrated Caribbean shopping and dining at Playa del Carmen. This main strip is a pedestrian walkway that runs for about 3 miles through Playa del Carmen town and is continually expanding and getting longer. It is located 1 block west of the beach, so if you go in the afternoon you can enjoy beachside cafes with loungers! Thinking of a destination wedding? Honeymoon, or celebrating an anniversary? How about a family reunion? This resort is a popular wedding destination both for its beautiful setting on a white-sand beach and for the myriad services it offers. The hotel can accommodate small to mid-sized civil, religious, and even Maya-style weddings in different locations throughout the resort. 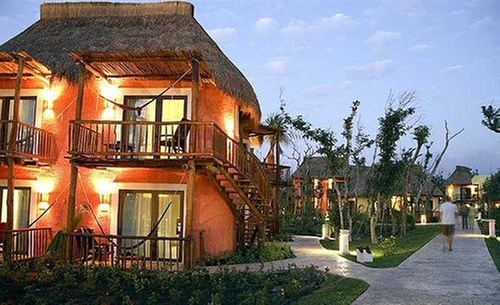 Barcelo Maya Palace provides you with luxuries and activities you won’t find anywhere else. And set on one of the area's finest beaches, vacation or honeymoon at Barcelo Maya Palace is an experience without rival in the Barcelo family. Look For The Sun - Not The WIFI! With Valentine’s Day quickly approaching, I have a special getaway package for you and your significant other! Celebrate your love for each other by spending quality time together. Did I mention it comes with an all-inclusive resort and great service? Now, multiply you can that by the 7 Nights/8 Days you'll be spending here! Every day will seem like a lazy Sunday afternoon! I've been there a couple of times in the past, and really love the sloooooow pace of the city, it's still a quaint beachfront town. In addition to the beach, and 100% All-Inclusive resort, there's a lot of shopping, little beachfront bars/restaurants off the resort, the prices are very low, and for few dollar taxi ride, you can explore the waterfront town of Zihuatanejo, just a short drive from your resort. Plus... You'll come back with a great tan! To escape the busy schedule of your day-to-day lives, book this vacation today with Vacation Superstore! Set your mind at ease with long hours spent luxuriating on the sun-drenched sand or take an enchanted stroll along the warm, butterscotch sands of Palmer beach, with the warm, crystalline blue-green waters washing over your ankles. The Barcelo Ixtapa Beach, one of the top hotels in the area, is situated on El Palmar beach, a paradise-like spot on southwestern Mexico, in the popular tourist destination of Ixtapa. It's an ideal hotel for couples and golfers, as there is an 18 hole golf course right by the hotel. Guests receive a discount for green fees, and you'll be about 4 miles from Zihuatanejo, a picturesque fishing village. Plus, this resort was recently bestowed the Green Globe award for quality distinction. Featuring stunning architecture, the Barcelo Ixtapa Beach houses 397 rooms in two towers around a sun-drenched atrium. Each room is like a wonderful retreat. Traditional Mexican décor elements such as terracotta walls and ceramic flooring create a relaxing atmosphere. Along with a private balcony or terrace, standard amenities include a satellite TV, safe-deposit box, coffeemaker, hair-dryer, iron, direct-dial telephone, and minibar. The Barcelo Ixtapa Beach will delight you in a vast array of fun and good food as part of the all-inclusive plan. Eat to your heart's content at one of six venues. Choose from 6 different restaurant options: 2 buffet restaurants with a changing theme every night and 3 specialty restaurants (Japanese, Italian, and seafood); along with an à la carte snack bar in the pool area. There are also 5 bars where you can enjoy the finest drinks: Pool Bar, Cascada Bar, Lobby Bar, Teatro Bar, and Sanca Bar, where you can enjoy live music and a DJ. Kyoto Sushi Bar; features a magnificent sushi bar inspired by Japanese culture with a welcoming, intimate atmosphere. La Fontana Restaurant; Exquisite Italian cuisine in honor of the country’s classic flavors. Seafood Restaurant; Features an exquisite variety of fish and shellfish dishes prepared in a Mediterranean style. Veranda Restaurant; Buffet restaurant specialized in a wide selection of food to suit all tastes. Enjoy delicious breakfasts and dinners. Let our theme nights surprise you. Caracol Restaurant; À la carte restaurant specializing in seafood and made-to-order snacks. La Palapa Restaurant; Delicious and varied poolside buffets with views of the sea! Daytime activities at the resort abound. Enjoy swimming or relaxing around a choice of 3 pools. One of the pools has a hot tub area and one is a children’s pool. You can play tennis, exercise in the gym, indulge in a spa treatment, want land-based activities? 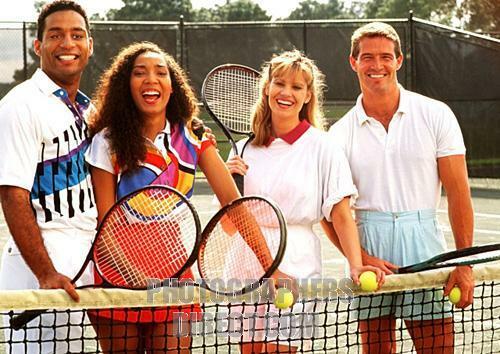 - Participate in an invigorating beach volleyball or tennis match. or participate in beach volleyball, water polo, ping-pong or football. Farther along the beach you will find companies offering fishing, scuba diving, sight-seeing, and sailing excursions. Take an excursion to Ixtapa Island (Isla Ixtapa) to admire a rainbow assortment of colors displayed by exotic sea creatures as you snorkel. Nearby, the Palma Real Golf Course offers an 18-hole, par-72 championship golf course winding through the Ixtapa countryside from a lush coconut plantation to the gorgeous beach. Catering to you, it's a fun-filled family vacation too! With an onsite Barcy Club for ages 5-12 and a babysitter on request, this resort guarantees an unforgettable vacation for every member of your group. 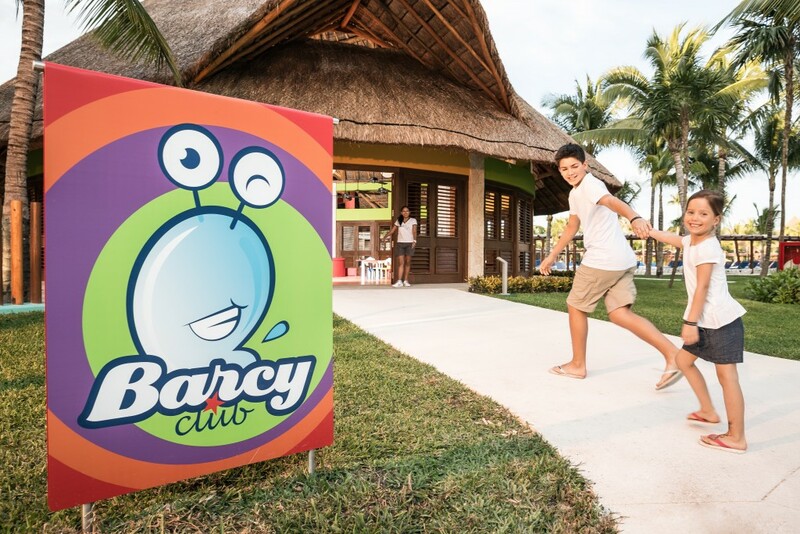 The Barcy Club is a place designed specifically for children with an extensive entertainment programme, including beach outings, puzzles, balloon contests, beach volleyball, sand castle creation, dance classes, games, and more. With the Barcy Card, kids not only get to enjoy the activities but also receive points for each activity they participate in. The points can then be redeemed for prizes at the Barcy Club. Score! Nighttime is filled with fun at the Barcelo Ixtapa Beach as well. Nightly entertainment features nightly shows, and the Sanca Bar Nightclub is a great spot for cocktails and dancing. Looking for a perfect spot for your "Destination Wedding", "Honeymoon" or Proposal? Here, each wedding becomes a perfect, unique and unforgettable day. A celebration to remember in this tropical paradise on the Pacific coast of Mexico. The Barcelo Ixtapa Beach Resort is a wonderful choice! Looking for a Ceremony on the beach or in the gardens? Maybe a reception on the beach, in the gardens, or maybe the hotel ballrooms is more your style? Our Vacation Planners can help you handle all of the details with the resort. Are You Settling For Mediocre? Please don't! Have you met me? Mucho Gusto… (Nice To Meet You!) I would never let you go to a mediocre resort! (Unless you like boring!) In fact, I have this little gem of a destination that lives up to its rep - you know - adventurous, wildly green, unique animals to see (the sloth is big here and so adorable), volcanoes to hike and ocean waters ideal for all kinds of seafaring folks. Have you tried surfing? Why not give it a go here. And the Riu Guanacaste Resort makes traveling to this oasis a breeze - delicious cuisines, cocktails for days, all the activities you'll want and gorgeous palms to settle in for a day of everything you want. Poolside, beachside, spa-side - you choose. Ready to see Costa Rica? We thought so. You just pay for their Airfare & Transfers. You can feel the excitement as you peer out of the plane window. The scene below will literally take your breath away. The color of the ocean, a bright turquoise, lazily lapping the pristine golden beaches that seem to stretch for miles. Costa Rica is a land of diversity! You have golden sand beaches, rainforest with monkeys, butterflies and thousands of species of birds, right out your front door! Ready to experience a trip of a lifetime? Indeed the people, known as Ticos, are one of the great attractions of this extraordinary country, and take great pride in pointing it out to vacationers! There are very few places in the world that can offer such an incredible diversity of scenery, climate, and vacation pleasures as Costa Rica does. 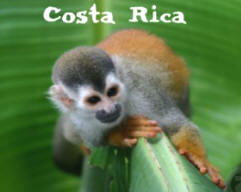 You will encounter everything from rainforest to active volcanoes, including various types of monkeys! Actual Costa Rican Sunset - From A "Happy" Client! 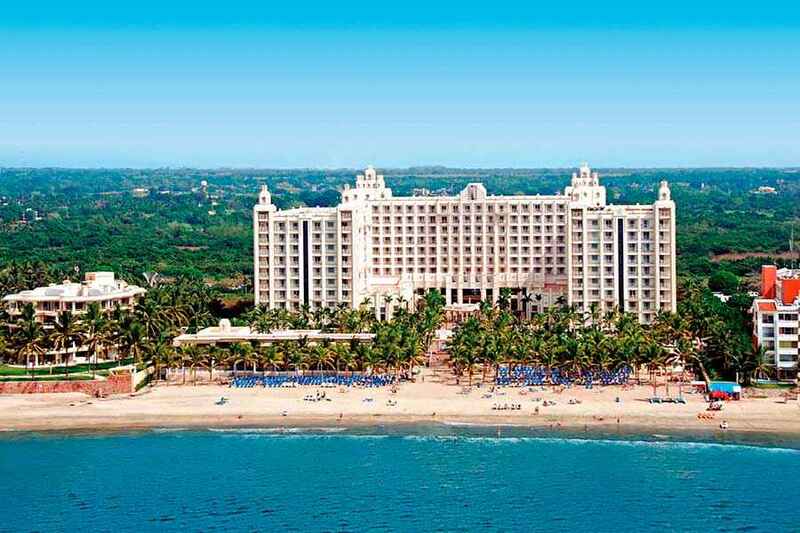 The 4 1/2 Star Riu, is 100% All-inclusive, oceanfront and set amidst tropical palms and lush gardens. 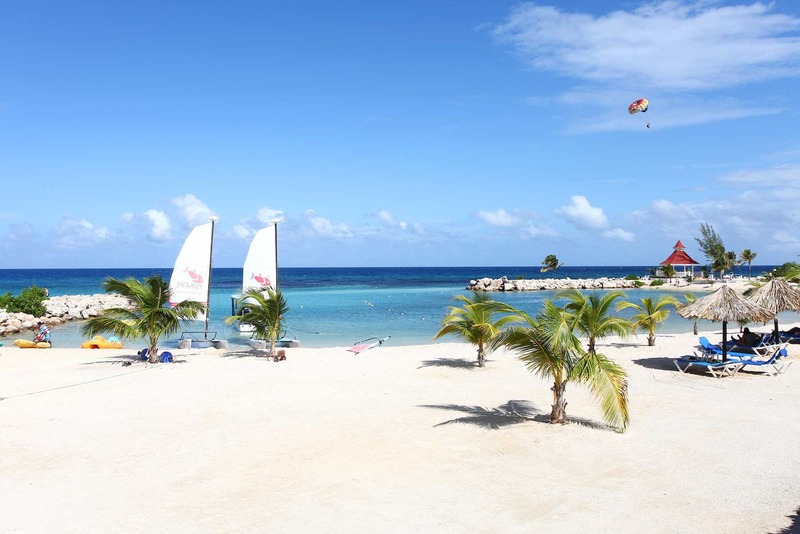 The resort has elegant facilities and offers a wide array of watersports and activities such as diving, kayaking, and windsurfing, as well as beach volleyball. In addition to a fully equipped fitness center and spa, 6 cocktail lounges, 6 restaurants, and nightly entertainment. 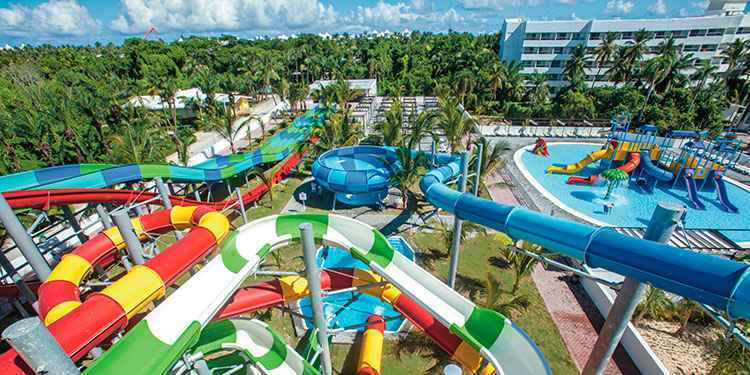 Plus The Riu offers a casino on the property, tour organizer at the hotel, to schedule any of your trips into the countryside, zip lines, white water rafting or even my favorite - shopping!! This 5-star resort is located on an impressive stretch of beach in the beautiful region of Guanacaste, on Costa Rica's Pacific Coast. The resort features its own casino, an exciting disco, a beautiful spa, and fitness facility, fitness area, and for the more active - plenty of water sports. Guanacaste is less tropical and humid than the rest of Costa Rica. It’s plains and dry forests are similar to the African Savannah landscape. Located on gorgeous Matapala Beach on the lovely northern Pacific shore of Costa Rica, and only 35 minutes from the International Airport, is the lovely Riu Guanacaste. The Riu Guanacaste boasts 701 inviting guest rooms, four dining venues, six free-flowing bars, and a gorgeous sprawling pool. A host of daily activities and nightly entertainment compliments the surrounding lush tropical landscape of the Costa Rica coast. The all-inclusive plan at the Riu Guanacaste all meals and snacks including full American breakfast buffet, hot and cold buffet lunch and assorted light fare, dinner buffets, theme dinners and a la carte specialty restaurants and 24-hour snack service. As well as unlimited beverages including domestic and premium brand alcoholic drinks; regularly stocked in-room mini-bar and liquor dispenser. With four restaurants and five bars, you will have plenty of choices when you get hungry or thirsty. But you not only get all your meals and drinks included, you also have the use of the fitness center, sauna and Jacuzzi; use of 2 lighted tennis courts; non-motorized water sports including windsurfing, sailing snorkeling and kayaking; introductory scuba lesson in pool; a daytime activities program; evening entertainment and shows; and complimentary entrance to casino and nightclub. Travel doesn’t have to stop once you have children, you can take them with you! 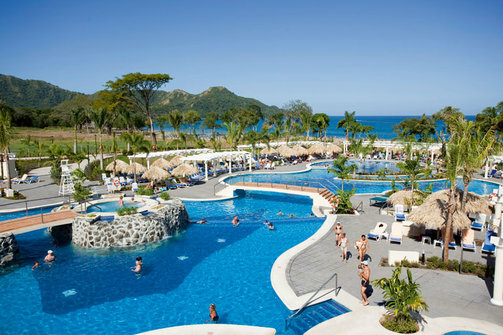 The Riu Guanacaste is not your typical all-inclusive resort. On any given day, you can watch howler monkeys and their young swing from branch to branch, and view large lizards as they scurry under the chaise lounge chairs. At this beach resort at the northern tip of Costa Rica, you’ll be entertained by nature too! The grounds of this 701-room property are far more compact than most all-inclusive properties, so it's never more than a 5-minute walk from your room to the pool area, restaurants and beaches. Start your day by finding the perfect waterside spot for your family. The entertainment team usually shows up around 10 a.m. to start the day with water aerobics. Near the pool is a playground and small Riu Kids Club called RiuLand. Available during the day for children ages 4 to 12, RiuLand and its counselors lead the children on activities like sandcastle building, running meets on the sand and learning Spanish. 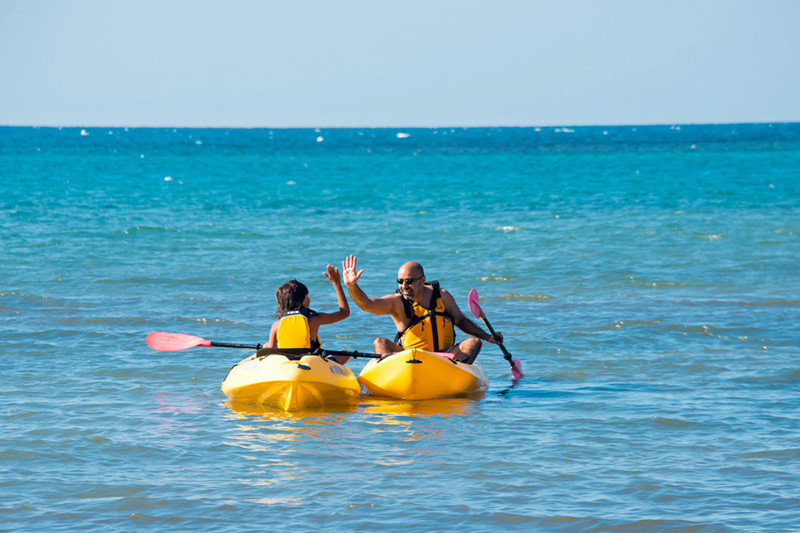 Down at the beach, you can grab a sea kayak or paddleboat to hit the water. For an extra fee per person, the water facility staff will take you on a short boat to snorkel on the reef. Don't miss this opportunity! This part of the coast is teeming with neon-colored fish, live brain coral, and cool looking sea critters like the long trumpetfish and the rock-like pufferfish. Getting married is one of the most exciting moments of your life and while you plan this day, you will experience days full of joy. Costa Rica wedding locations are unique. This the only place in the world with amazing and ideal spots for weddings in the rain forest, the cloud forest, the dry forest, beaches on the Pacific Ocean and the Caribbean Sea, tropical gardens, waterfalls, hot springs, mangroves, plains, rivers, lakes, and volcanoes. 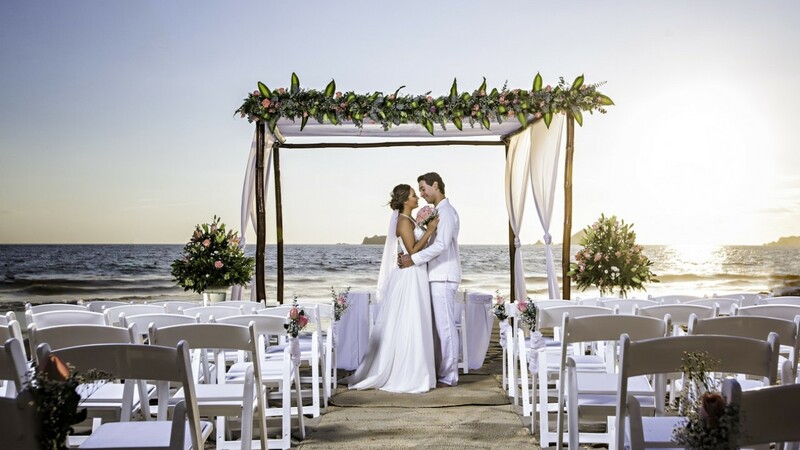 Whether you are seeking a beach wedding on a perfect sunset or a lush tropical setting in the rainforest, our Vacation Planners will help you to find the perfect backdrop for your memorable day. 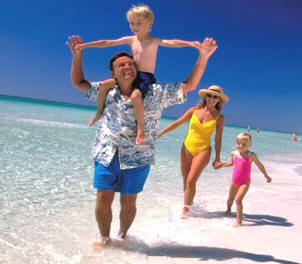 Ask our Vacation Planners for a no obligation quote for you and your family and guests. Ready to try something new? Tired of going to the "old faithful" resorts? Well, you'll be sizzling with excitement here, and you'll definitely think that you've arrived, as you melt into your lounge chair while sipping a delicious cocktail, in the Dominican Republic! On one of the best beaches in the world, enjoying the colorful surroundings, warm sun, and tropical breezes. Play in the waves, relax in the cool swim-up bar! You can eat when you want, drink whatever and whenever you want, play, swim, float or sleep when you want - Want More? - Go for a game of golf! Ever have a hole in one? Can I inspire you, with wonderful golfing and beautiful greens? 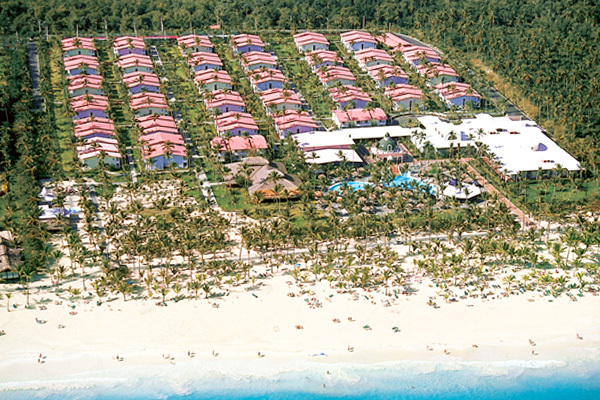 I have a HOT DEAL to one of the best of the Caribbean, which awaits you at this All-inclusive beauty on the posh white sands in Punta Cana, located on the finest beach of the famous Bavaro Beach. Here, you'll find glowing powder white sand, and turquoise waters, maybe a martini or pina colada in your hand as you gaze into the sunshine and calming seas, perfectly shaded by the surrounding palm and coconut trees that make this area a tropical paradise. Feeling Lucky yet? With sunny days, jet skiing, shopping, beach lounging, poolside cocktails, you name it, and you'll create that spring a ring ding day. Right from the breathtaking Bavaro beach, stretching for 30 miles, snow-white sands melt into lush veils of coconut palms on one side and ultramarine waters on the other. One of the most beautiful beaches in the world! Coral reefs along the beach allow you to enjoy the rich marine life of the Caribbean Sea. But keep on moving - the big deal here is the bar, PURE. This Noble Beach Prize Winner is an expansive slice of awesome-it's a little over 1,600 square feet - and has a killer view of sugar-white sand and turquoise water. It boasts an even more rockin' drink menu. When you're good and chillaxed, you can check out all the unlimited awesome: food, drink, water sports and oceans more. Surrender to the area's charms and get ready for an extraordinary vacation! This beachfront resort has everything needed to unload day-to-day stress, including the requisite freshwater swimming pool, swim-up bar, and Jacuzzi. However, it also keeps you busy with exhilarating activities - including tennis courts, paddle tennis, petanque, pool, beach volleyball, water polo, basketball and for those who wish to have a work out there is a gym. For golf lovers, there is a lovely 9 hole and a challenging18 hole golf course. You shall not go hungry or thirsty with the wide range of bars, a la carte restaurants, there's a 24-hr pizzeria with a wood-fired oven (for those needing a late-night fix), a creperie, steakhouse, Italian, & a tapas bar for small plates. Dig in - enjoy delicious dining at 7 specialty restaurants or the buffet, indulge in your pick -of the 6 bars & discotheque serving national brand beverages. Unlimited natural fruit juices bar at the beach. Want a late night? - There's a discotheque, casino, nightly evening shows. Ready to retire from the fun and long day? Head to one of 700 rooms and suites that are set among pools and gardens. Junior Suites offer one king or two twin beds, terrace or balcony with hammock, living room, air conditioning and ceiling fan, complete bathroom, shower, hairdryer, cable television, direct dial telephone, complimentary wireless internet access, safe deposit box, coffee maker and mini bar with soft drinks. Wherever you stretch out, you'll have top-notch watersports at your fingertips, from glittering catamaran trips ($) to flashy jet-ski rides ($) and more leisurely kayak outings. Evenings are wonderfully easygoing, slip a chilled mojito on the sands, dine on ocean-fresh seafood under the stars and dream of tomorrow's pleasures. Swing a club at the Catalonia Cabeza de Toro Golf Club. The golf club is situated near the oceanfront and integrated into a wonderful tropical landscape, five lakes and many shade trees define this short but challenging course. Two nine-hole courses are sure to please golfers! You'll never go hungry here. The all-inclusive program includes non-motorized water sports, a kids' mini club, weekly beach party, all meals, and unlimited alcoholic beverages, and much, much more! Does this sound familiar? I think we would ALL love something to look forward to, especially since this winter seems to be hanging on - right? Want to sprinkle some fun into your life? Here's a trendy place for your next vacay, with temps that never change! - 80 degrees with a beautiful sea breeze, gets one to start thinking of a gorgeous beach - plenty of sunshine, and tropical drinks (with lots of ice!)... Imagine playing with the kids on those porcelain-white sands, with swaying palms, twinkling seas and the lilting sounds of meringue drifting in the air, this everything-you-want, Beach Eden does not disappoint. The beach is beyond epic! - Just saying! Punta Cana, the hottest vacation destination in the Dominican Republic, where you'll find a wide range of delights to savor, including some of the best golf courses in the Caribbean. It is virtually impossible to get bored here, especially if you choose to stay at one of the Riu Bambu. Completely refurbished in summer 2017, and there's Free WiFi throughout the hotel. 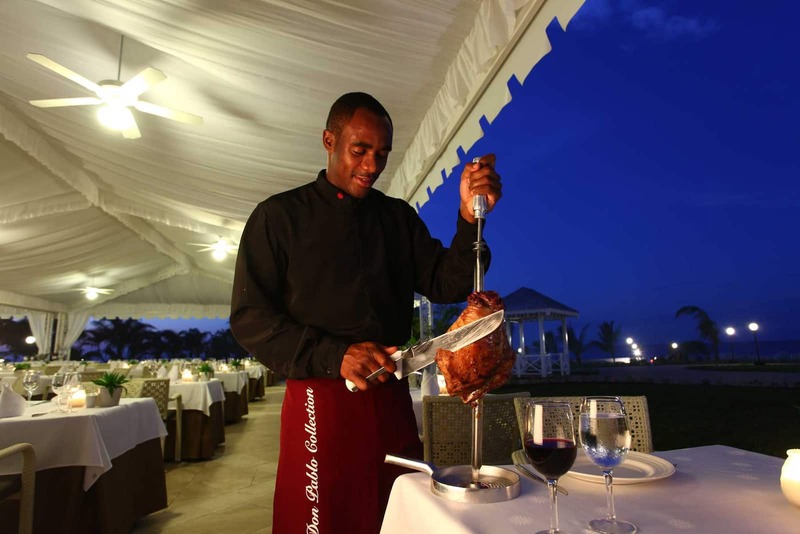 With a "Service with Heart" attitude, the island is ‘relaxed’, something Dominicans are all too happy to put into practice at the ClubHotel Riu Bambu. Experience paradise in this world of perfect peace while soaking up the sunshine. Be sure to take a moment or two to dive into the sparkling blue waters and explore the magnificent underwater world. 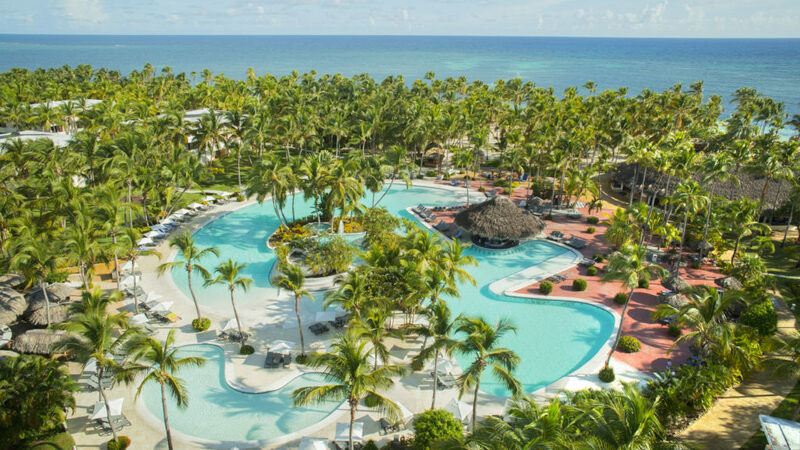 Surrounded by acres of lush palm groves in Punta Cana, the recently-renovated ClubHotel Riu Bambu is a leading vacation destination in the Dominican Republic. Located on the scenic Arena Gorda Beach, you can admire the clear, turquoise ocean while reclined on a free sun lounger on soft white sand. 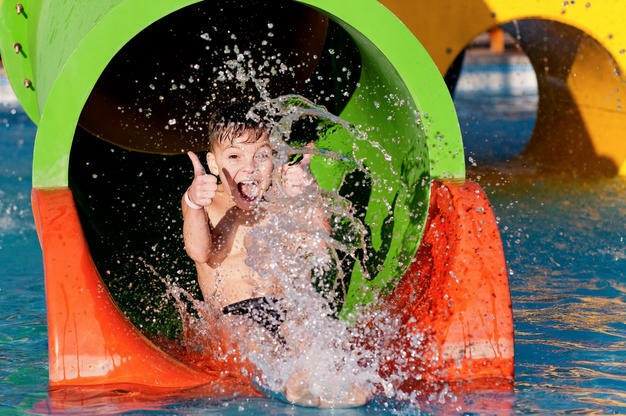 Ideal for visitors of all ages, this resort offers a wide range of activities for younger guests at the RiuLand kids’ club, along with a playground and exciting children’s swimming pools equipped with water slides. Parents can try out various water sports like windsurfing and kayaking or simply kick back by one of five swimming pools with a tropical cocktail in hand. Enjoy the lively atmosphere of nightly outdoor entertainment, night club, and casino, while surrounded by 2 inviting swimming pools, 2 tennis courts, a gym, and tropical vegetation galore. Includes a choice of 5 fabulous restaurants and bars, food and beverages are available until 2:00 am, plus 24-hour All-inclusive (snacks and beverage) service. Set among shady palm trees and crystalline waters strewn with coral, ClubHotel Riu Bambu is the ideal escape for enjoying the best of the Caribbean. Large, air-conditioned rooms are contained in two-story buildings surrounded by tropical landscaping. 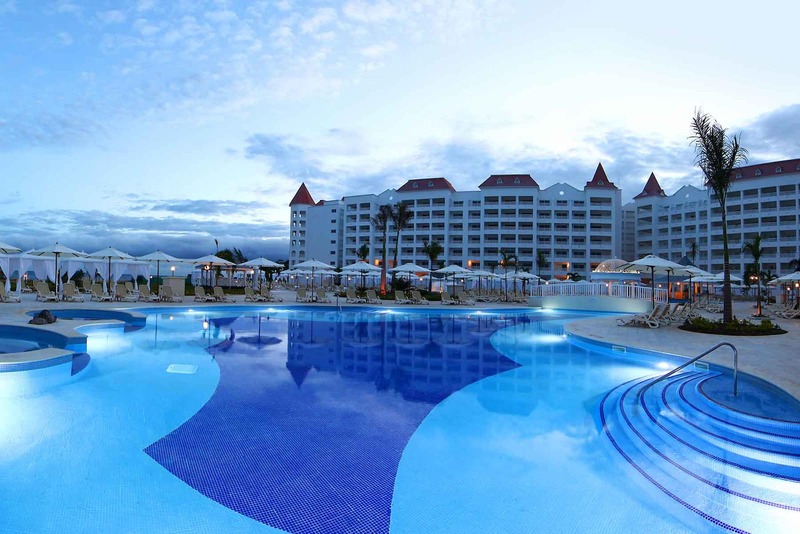 A beachfront Resort with a flair for decor and ambiance is located next to the Riu Palace. Want water sports? Got that. Night time revelry? Got that, too. Notice a theme? Yeah! the Riu's got it all. The cuisine will wow all the gourmands. Your palate will be delighted with the many dining options available. No reservations needed at any of the restaurants! 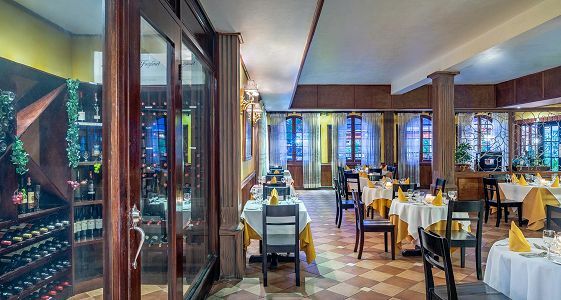 Savor international and authentic Latin cuisines at a selection of on-site restaurants that prepare delicious Italian, Asian, Mexican and classic steakhouse meals. cuisines at a selection of on-site restaurants that prepare delicious Italian, Asian, Mexican and classic steakhouse meals. Delicious snacks are available 24-hours a day as well as unlimited drinks. Unlimited domestic, international, and nonalcoholic beverages flow from three bars. Did I mention each room comes equipped with a fully stocked mini-bar and liquor dispenser? The ClubHotel Riu Bambu has 1,000 rooms equipped with the best amenities, like a minibar, beverage dispensers, satellite TV, a living room, and a balcony or terrace for enjoying the lovely surroundings. Moreover, and for those who want to relax, keep moving and enjoy it more, you can find a Jacuzzi area and refurbished gym. 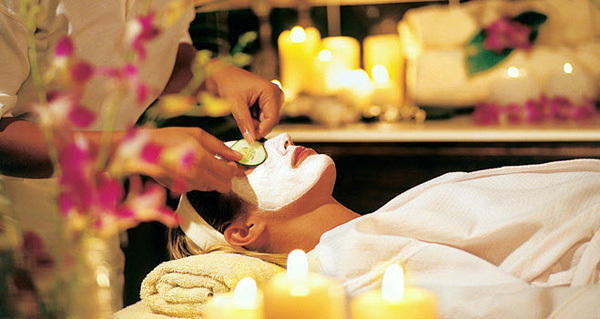 The exclusive Spa Riu Palace Punta Cana, in turn, will offer you a choice of treatments, relaxing and esthetic. Check Splash World, Splash Water World, thrill-seekers will get to try out the most exciting attractions, like the Body Vortex, a closed body slide that shoots you towards the pool; the Kamikaze, with impressive drops from heights of several meters; or the free-fall slide for experiencing the sensation of flying directly into the pool! Whew! Excitement is guaranteed for all guests of the Hotel Riu Palace Punta Cana, Hotel Riu Palace Macao, Hotel Riu Palace Bavaro and Hotel Riu Naiboa and the ClubHotel Riu Bambu located in the Punta Cana complex, as they have free admission to Splash Water World to make their holidays with RIU Hotels & Resorts extra fun. 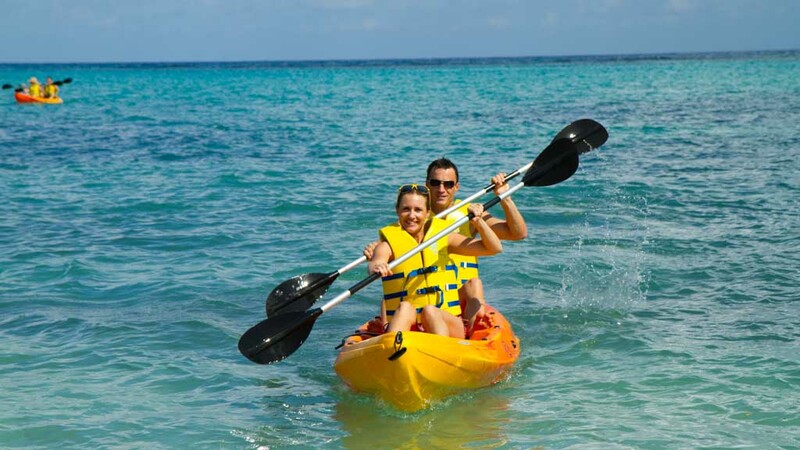 Water sports, such as windsurfing, sailing, kayaking, and body boarding are included! One introductory scuba diving lesson in the pool is also included. Every evening, enjoy live music and shows. You'll have access to Riu Naiboa, within the Riu complex, and the complex offers the Caribbean Street, with its vast array of shops, services, and boutiques. (ONLY Exception - the bars at the Riu Palace). Riu Bambu will surpass all your expectations with fun-filled days and nights. Make each night date night! Whatever you choose, a romantic walk on the beach at sunset, sipping champagne before dinner, or getting lucky - at the casino nearby, this Adults Only Riu has it all! You'll fall in love all over again. It's so great, you'll think you're on "Fantasy Island". Let's start with the dreamy, three-mile stretch of silky sand, where you can chillax, get your drink on (and on - no one's counting) and ignore the world, or hit a game of beach volleyball and burn some calories. And that's just the tip of the beachberg. Toggle between the Jacuzzi at the epic infinity pool and indulge in stress-ousting treatments at the lush spa aka Relaxation Central, or hit the slots next door and hang at the always-festive, hip bars until the sea cows come home. Is that a "yes" we hear? 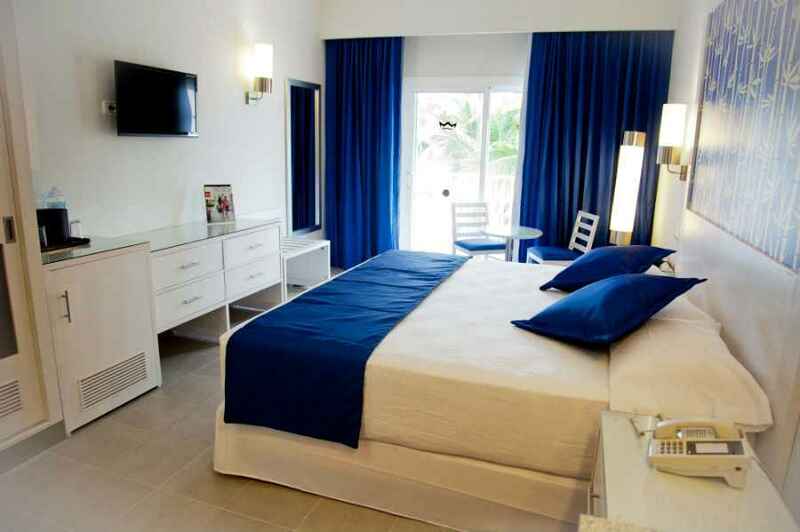 Just emerging from a total renovation, last fall, the Adults Only, Riu Palace Paradise Island, is a crossroads for untamed landscapes, bustling island culture, and all-inclusive comfort - a playground for the 18-and-older crowd, and we couldn’t be happier. Not because we don’t like little ones, but because sometimes the only way to really relax is without them! You can leave your wallet at home, because the chic and modern Riu has a happy vibe, with the signature package of comprehensive inclusions that leave you without worry. And the largest casino (Atlantis) in the Caribbean is only steps from your resort, local shopping and a spectacular coastline in your backyard, this resort captures the best of the Bahamas in one destination! Makes getting your recommended daily requirement of “vitamin sea” a cinch! If you’ve visited the Riu Palace Paradise Island before (and even if you haven’t), you’ll appreciate the changes that have been made to the 12-year-old resort. Rooms have been refreshed with tile floors replacing carpeting; new bathrooms with double-headed walk-in showers; and bedside USB ports. Public areas are light-filled and colorful, done in Riu’s distinctive and quirky style that combines oversized light fixtures, modern furniture and photo prints. There are now a total of five restaurants, including a poolside jerk hut, cappuccino cafe, and a stunning swim-up pool bar, the new Soca swim-up pool bar, presides over magnificent Cabbage Beach. In my book, there are only two things better than a pool. A pool with a swim-up bar, and an oceanfront pool with a swim-up bar. Soca, one of two pools at the resort, checks both boxes and throws in five aqua loungers and a high-top table to boot. Chances are if you lose sight of your friends for more than a minute, they’re here, either sipping daiquiris or snapping selfies at the infinity edge — one of the resort’s most Instagrammed spots! Rooms have been refreshed with tile floors replacing carpeting; new bathrooms with double-headed walk-in showers; and bedside USB ports. Public areas are light-filled and colorful, done in Riu’s distinctive and quirky style that combines oversized light fixtures, modern furniture and photo prints. All 379 rooms feature flat-screen TVs with satellite channels, complimentary wireless Internet access keeps you connected, balconies, and coffee/tea makers. Minibars provide refreshments, electronic in-room safe, iron and ironing board, and 24-hour room service is also available. Free bottled water and hair dryers are also available. Cappuccino and Chutney! No, we’re not suggesting you combine condiments and coffee. But we are suggesting you visit these two restaurants. Tucked into a corner of the lobby, Cappuccino is an all-day venue where baristas serve up coffee drinks, sandwiches, and pastries (don’t miss the red velvet cake) until 11 p.m. At the Indian restaurant; Chutney (one of only two in Riu’s Caribbean chain), guests feast on a smorgasbord of subcontinental cuisine from all across India (think chicken tikka, lamb samosas and fish in coconut curry). There are now a total of five restaurants, including a poolside jerk hut. You'll also be able to enjoy continental breakfast buffets with show cooking, try the Steakhouse Grill, the "Krystal", the Fusion restaurant, the "Tengoku", the Japanese restaurant, and "Sir Alexander" the gourmet restaurant. Or sample the hotel bars’ most delicious snacks and aperitifs, as well as the patisserie and ice-cream parlor ‘Capuchino’. And if you want a truly unforgettable night, the resort can arrange a romantic al-fresco dinner. Although days at Riu Paradise Island are often spent stretching in beachside sun loungers, an exhilarating nightlife emerges with the setting sun. There's a hoppin', Vegas-style casino next door - grab sweet Lady Luck and try your hand. Entertainment rarely stops with programs for adults running six days a week. Atlantis next door has a great nightclub when you want to get your dance on. 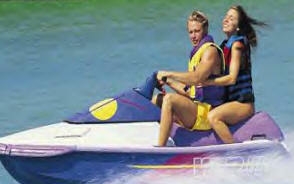 The water sports (jet skis, water skiing & more) will blow you out of the water. Hang on! Activities and entertainment are in full swing at Riu Palace Paradise Island. Enjoy a day on the beach playing volleyball, or work up a sweat in the full-service gym. Shows and live music are available several nights a week. 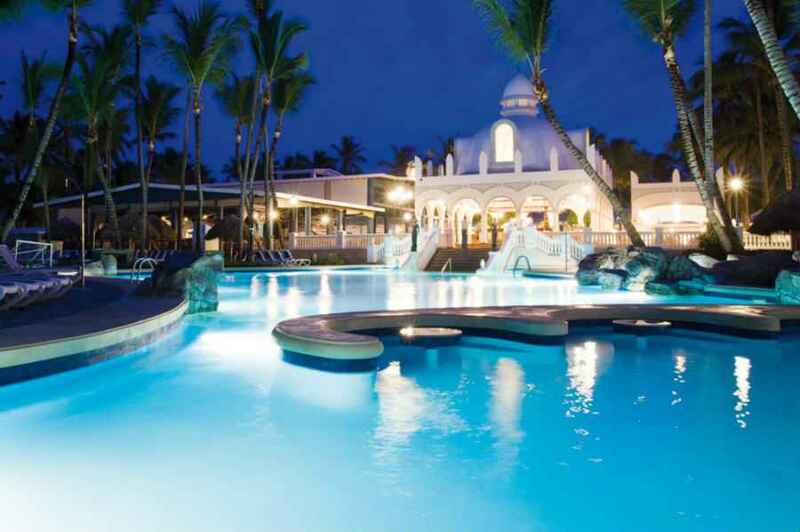 There is something for everyone at Riu Palace Paradise Island! Riu Palace Paradise Island lives up to the Riu reputation for multiple inclusions, captivating environments and friendly service all in a worry free vacation package! Marriage ceremonies are magical in Nassau! 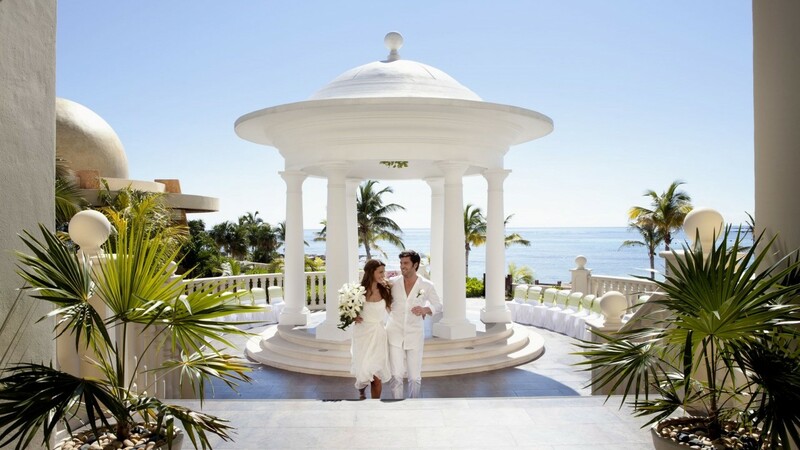 Enjoy your very special wedding in the Bahamas at Riu Palace Paradise Bahama All-Inclusive hotel. A chance to discover the magical destination of Nassau and enjoy your love in the Caribbean, with your wedding on the vast beach of Paradise Island. 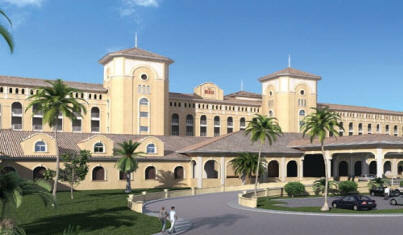 Riu Palace Paradise Island (Adults Only) offers you a variety of 5 wedding packages to choose from. 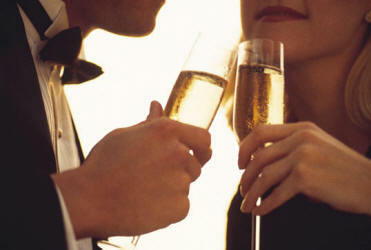 Ask our Vacation Planners for more information in planning your special event. It's waiting for you! What? The Adults Only Section at the Sandos Playacar. Showcasing on the best beach in Playa del Carmen. It's also near one of the best Playacar golf courses. Ready to enjoy the turquoise waters of the Caribbean Sea, where it kisses the softest white sands? Good! I have a package just for you. Hurry! - Packages at this price are limited! Sandos Playacar has prepared an incredible surprise for everyone: The Adult Only section which is located right next to the Sandos Playacar Resort Complex. 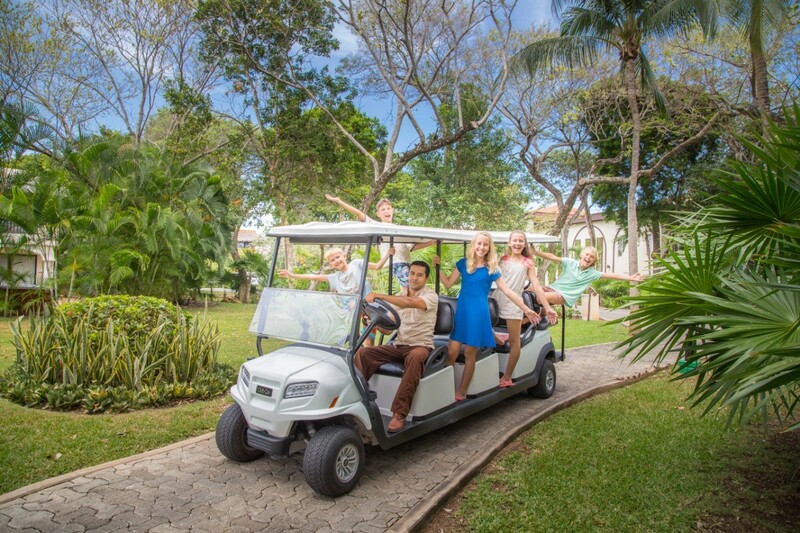 You'll get familiar with the golf carts, they are always going throughout the hotel giving guests a ride to their location of choice. So don’t worry about walking from one place to the other, since this transportation will also be going to the pools and waterpark area. To start each day in paradise, enjoy the breakfast buffet exclusively for Select Club Adults Only guests. Throughout the rest of the day, you can indulge with a visit to the two Premium Bars exclusively for you, each with services like hors d’ oeuvres, Premium drinks, coffee, living area with TV, free WiFi and computer; one Premium Bar is located in the main lobby, and the other is in the Meeting Point area. As a guest in their exclusive Select Club Adults Only section, you’ll also have access to a private beach area with hammocks, loungers, a beach bar, and waiter service. 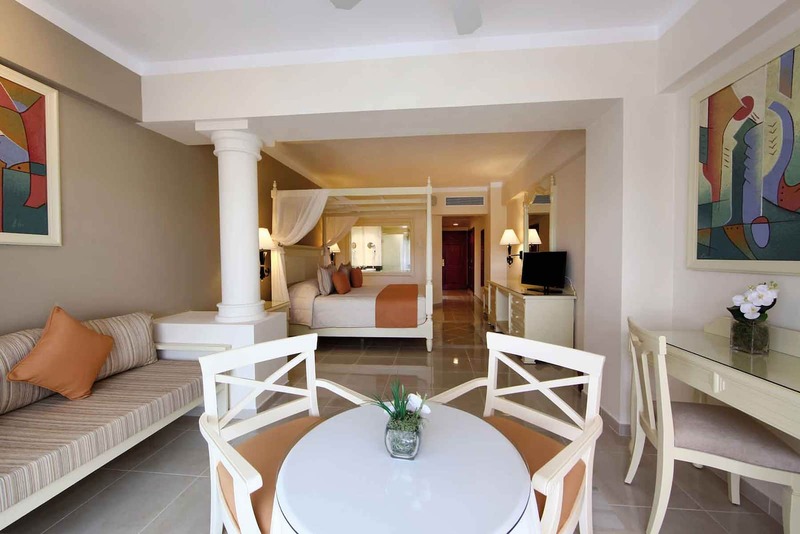 The Sandos Playacar is quite simply one of the best all-inclusive resorts in Playa del Carmen. 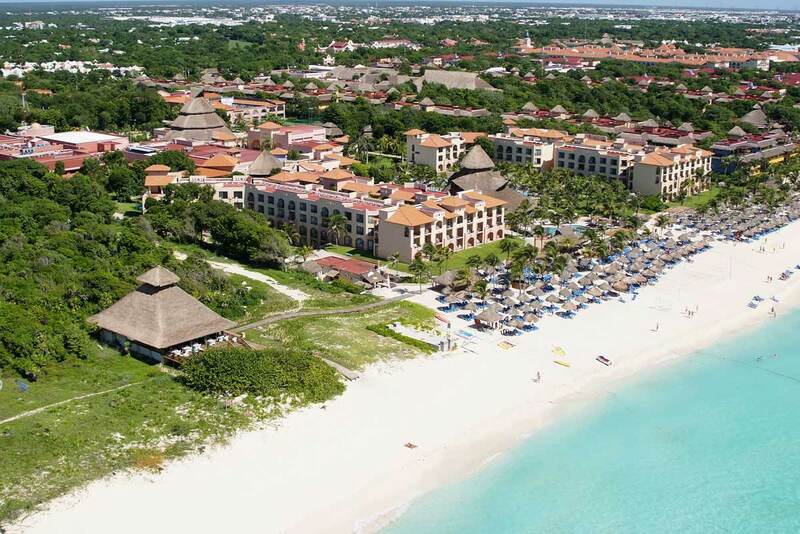 Found on the best, and most stunning beach in the Playacar area, this expansive, four-star resort complex has no trouble satisfying beach enthusiasts, and when a break from the sand is in order, there are plenty of other options for things to do. If you've been looking for a way to make a splash, plunge into one of the resort's swimming pools before diving into a variety of exciting activities for adventurists of all ages. The Adults Only section (ages 18 and up) features a relaxing pool area a few steps from the ocean. This pool area is truly impressive, with a stunning lagoon-style pool with jacuzzi and swim-up bar, waiter service as well as a snack bar with Premium drinks specializing in ceviches and BBQ. Can you believe there are 6 pools scattered throughout the complex including 1 exclusively for Select Club Adult-Only guests, a brand new infinity pool and 2 for children. The new Main Pool offers aqua fun with five water slides for children, plus some animal-shaped slides and a rain tree. As the new main pool of the resort, it also has a swim-up bar so that you don’t have to leave the water in order to ask for their favorite cocktails. The Riviera pool has a more secluded location in the Family Section of the resort, perfect for a vacation with the kids. To keep the party going, there are energetic aerobic competitions, upbeat music plus cookout parties every afternoon by the bar with delicious dishes! 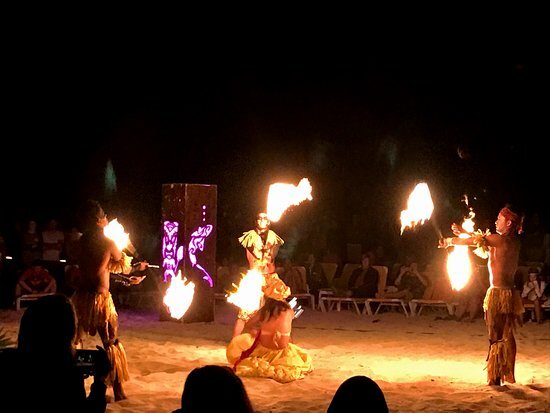 Take the Fiesta to the Caribbean Sea with the All Playa Experience, featuring a themed beach party every day of the week honoring the world's top beaches. Land lubbers enjoy! There's miniature golf court, racquetball, 2 tennis courts, a small farm with three resident burros, and a small eco-park with monkeys, coatimundi, and peacocks. There are supervised clubs for babies, kids, and teens, each with tons of activities including movies, video and arcade games, air hockey, and separate pools. When you feel hunger pangs, head for one of the ten restaurants, including three buffets. You can chow down with the wide variety of restaurants like the Cupcake Cafe, Chayita Mexican restaurant with made-to-order tacos and burritos, impressive buffets, Mexican cuisine at Gourmex, and so much more. In the evenings, head to the Gran Plaza for cocktails and a show under the stars. Or La Mision nightclub stays open until the wee hours. Indulge in the culinary delights offered at any of seven a la carte and three buffet restaurants. Savor delicious Italian, Brazilian, Mediterranean, Asian, French and Mexican cuisine, with no restrictions on the number of nights you choose to dine at either (reservations are required only for Brazilian restaurant), plus there's a coffee shop/café. From your room, you can also access the 24-hour room service. Thirsty? Quench your thirst at one of the 6 bars/lounges or 2 poolside bars. Make yourself at home in one of the 819 rooms in total, all of which are actually suites with furnished balconies or patios. Haciendas have small semi-private pools and whirlpool hot tubs, while most other rooms have jetted bathtubs. All rooms also have air-conditioning, coffeemakers, minibars, and flat-screen TVs -- the higher the room category, the bigger the screen. Room service is available 24-hours. If you indulged a little too much, you have all-inclusive access to the resort's hydrotherapy area and fitness center to help you stay trim and toned for the beaches. Need to melt your tension away? Indulge in a massage or a full range of beauty treatments that will leave you relaxed and recharged. The fitness center is bright and spacious and feels more like a high-end gym than a hotel exercise room. There are spinning and yoga classes and personal trainers are available for private sessions. The gym has plenty of cardio and weight machines as well as free weights. Enjoy the many facets of the Sandos Playacar Resort. The wide and extensive stretch of white sand beach lies next to the calm and clear Caribbean Sea, and it's one of the best beaches in Playa del Carmen! 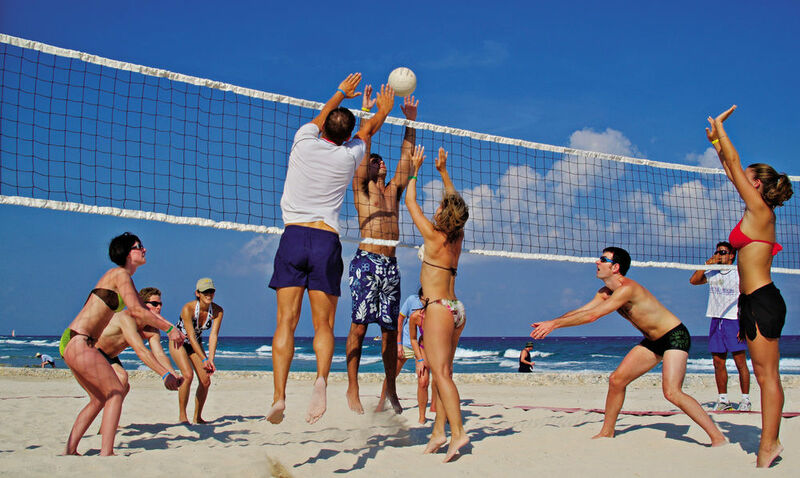 Here, you’ll find volleyball, sand castles, Zumba lessons, and simple relaxation. Agave Blue Bar offers beachside service with drinks and snacks in the mornings and afternoons. Food, drinks and the warm Caribbean sun, welcomes you to totally enjoy Mexico! Destination wedding plans in your future? Look no farther! With a Caribbean style, this gorgeous venue offers superb service and many romantic settings, from the powdery white sand beach to the lush, tropical gardens. Venues start at the stunning beach with breathtaking views for a one-of-a-kind ceremony and reception, and more. This all-inclusive resort will take care of you and your family and friends. 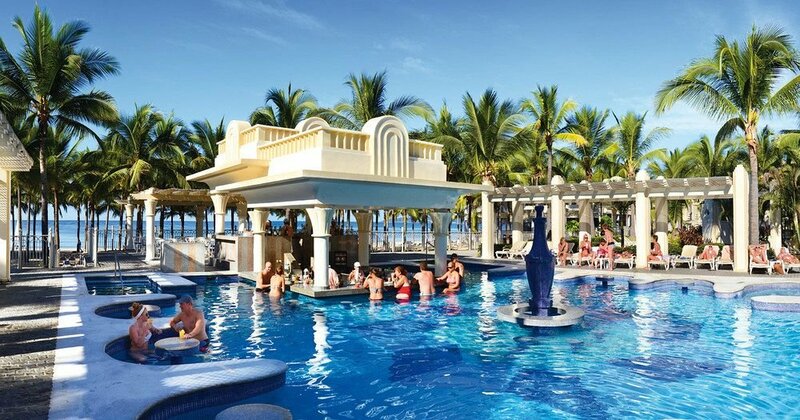 The Sandos Playacar is everything that you could want in an all-inclusive Mexico resort! Ask for a FREE quote today! We should never forget, we are only as old as we feel! Hey - My favorite resort on the island of Cozumel is now on sale and it's a good one. 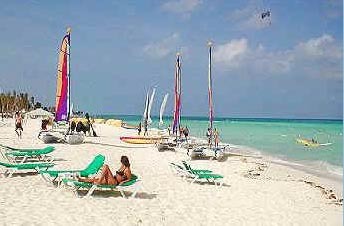 Sunny Cozumel, is a bright paradise playground and a rarity in today's travel world. It has maintained a laid back, relaxed pace and a distinctive Mexican culture, yet it has all the services of a larger travel destination - shopping, variety of restaurants, nightlife, beaches, watersports, and world-class diving! Perched on sugar-white sands with a breath-stealing view of the alluring Caribbean Sea, the Iberostar Cozumel delivers a shell! of a good time for all ages. Aside from the bewitching beachfront location, the resort's unique bungalow accommodations make for some happy beaching grounds. With ahh-some amenities like pools, bars, entertainment, water activities and all the food and drinks you can possibly fit in your belly, this all-inclusive delight offers beachy goodness to all those who arrive. Hurry This one always sells out fast! Your all-inclusive vacation at the Iberostar Cozumel Mexico takes nature seriously! With wildlife wandering the grounds (including pink flamingos, peacocks, and iguanas), it blends tropical relaxation with unlimited fun. A green parrot, that lives at the resort, welcomes you with an “hola” upon arrival in the lobby, as Iberostar Cozumel conjures the feel of the lush Caribbean. Just beyond the lobby is a pond with flamingos and a path lined with palms, crotons and other shrubs and trees. Savor quiet moments alongside the enormous lake pool, where you can either enjoy the rays of a warm Mexican sun or relax beneath the shade of a tropical palm or palapa. Lie beachside while sipping on a tropical cocktail, or walk out on the pier to take a dip in crystal clear waters. The world’s second largest coral reef is just off the beach, making the resort a dream destination for scuba divers. Maybe participate in the Iberostar daily activity programs conducted by the Star Friends entertainment team, learn to salsa, take a Spanish lesson or just soak up some true Mexican sunshine.- It's your vacation! The pools and beach are lined with palm trees, sun beds, and shady palapas. Traveling with the kids? There's even a separate kiddies pool. Star Camp is the perfect place for kids to meet, take part in organized activities, or just play. Check out the fascinating world of games, activities, and adventures that all children can enjoy. Split up into Monkey (ages 4 to 7) and Dolphin (ages 8 to 12), kids will make new friends, develop their creativity, and play all kinds of sports. All the activities combine tons of fun with lessons on healthy habits, diversity, and respect for the environment. Activities galore! There are plenty of activities to keep guests of all ages entertained, including tennis, archery, target shooting, basketball, beach volleyball, group gymnastics, and fitness classes. Pool and ping-pong tables are found on the property. The fitness center is located in a spacious thatched hut with high ceilings and picture windows that look into the jungle, where there are cardio and weight machines, and racks of free weights. Your taste buds will get along swimmingly with all the delectable dishes in any of the three specialty restaurants, an international buffet, or the poolside snack bar/grill. The specialty restaurants include Mexican, Asian, and Steakhouse restaurants. Plus, the scrumptious international buffet has oceans of options for the whole family. Free-flowing beverages are served at five bars, including a swim-up bar, 'till you say when! Not quite ready to call it a day? - Create memories and share plenty of laughs with your loved ones, with a theater located on this resort, the fun never ends. Catch family-friendly shows that range from comedy to musical productions. Entertainment options run the gamut and culminate with the evening shows and theme nights. When your weary head tells you it's time to head to bed, pathways and gardens connect you to the many pleasures of this enclave, while gentle breezes and shaded garden patios welcome you back after a day of exploring the property, beach and the famed reefs. In this cozy, rustic and open-air resort, there aren't your typical standard rooms. Instead, there are little charming bungalows complete with hammocks and private little patios where you can hang your suits to air dry after a day at the beach. Take your pick from 293 guestrooms, and 12 room categories that are available for a suite that fulfills your needs. All rooms have private bathroom and shower, a/c, ceiling fans, cable TV, a terrace with hammock, coffee maker, hairdryer and more. At the all-inclusive Iberostar Cozumel, you are pampered by dusk to dawn. With such magnificent natural beauty, is it any wonder that the Iberostar Cozumel Hotel is also the perfect place for exercising the mind and body as well? A newly renovated spa is available as well as two outdoor jacuzzis. spa where you can enjoy a soak in the hot tub and treat yourself to a relaxing massage, such as an anti-stress massage, lymphatic drainage massage, or a mud massage. If you’re in need of an energizing massage, why not try a sports massage, eastern massage, or reflexology? You can also pamper yourself with an exfoliating treatment made different ingredients such as chocolate or coffee. Thinking of popping the question? Or having a destination wedding? 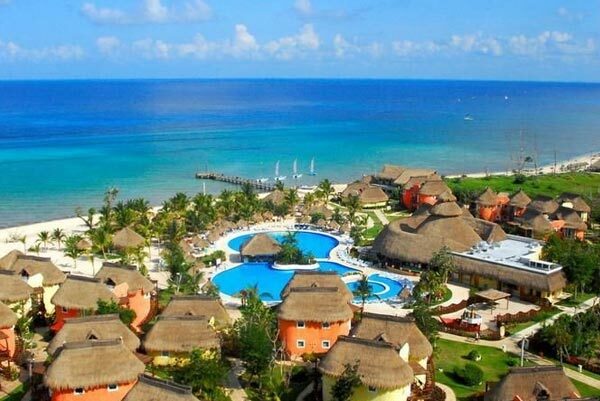 This resort is a great choice for your all inclusive destination wedding in Cozumel - And The Iberostar Cozumel Resort only allows 1 wedding per day. With a dazzling sandy beach, tropical lush surroundings, and the pond with flamingos and all the beautiful pathways lined with palms - your pictures will be spectacular. And your guests will be pampered the way you'd expect. You have to do nothing! Want to know the scoop, which may help you with these plans? Ask our Vacation Planners for a FREE quote today. Rise & Shine - It's Time For Wine! Only if it's afternoon, for me! I prefer Bloody Marys, or Screw Drivers in the early morning (before noon! ), but you can drink whatever you want, whenever you want! Anytime you like! - On this all-inclusive trip. Imagine, nestling yourself under a palapa and falling into a snooze as you gaze at the cerulean tide washing in and out on a Jamaican shore! Enjoying rock star butler service on a private beach. Chillaxing by lush mangroves poolside. Melting into the sand during a stress-ousting massage in the spa. Being flabbergasted by spectacular views while you tee off in a golfer's paradise. Which scenario do you fancy? Oh, all of them? No problem. Each and every one can all be yours. And then some. 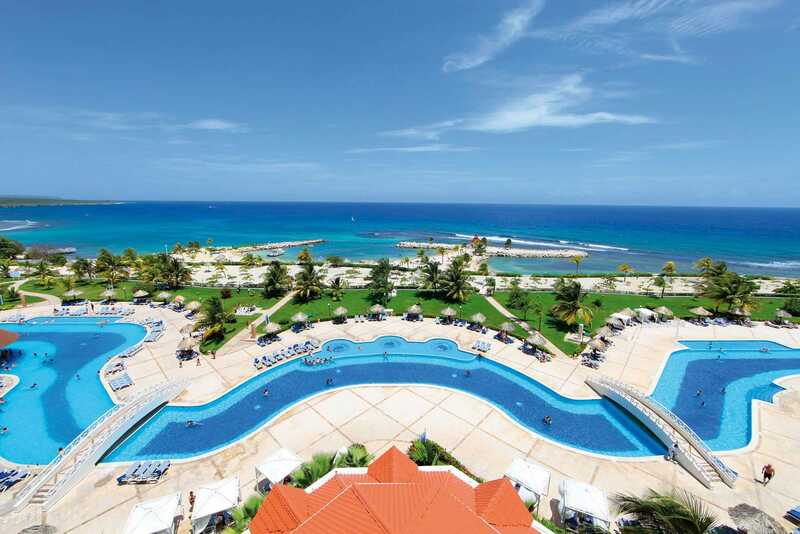 Work's going on hold for at least 7 days while you're on this terrific package to Jamaica MON! Where every little "ting" will be alright! Ire Mon! Everyone knows Jamaica as the home of Bob Marley and the honeymoon capital of the Caribbean, but there's more to it than just Reggae and romance! It's the third largest island in the Caribbean, and it has everything; wonderful white-sand beaches, magnificent blue mountains, waterfalls, wildlife, grand old plantations and great coffee (Bring me some!). The Luxury Bahia Principe Runaway Bay, Don Pablo Collection is an adults-only resort located right on the beach of Runaway Bay. You'll receive exquisite service from a staff that has been trained to meet your highest demands. Located 75 minutes from Mobay airport, but patience, young jellyfish, you'll be beaching soon! The spa, pools, and fine restaurants promise you the perfect opportunity for relaxation and luxury - providing the absolute finest in an all-inclusive vacation! Luxury Bahia Principe Runaway Bay overlooks Runaway Bay’s sparkling white-sand beach, but the resort’s most fabulous water features may be its pools. When you're not being served fruity libations at the private beach you can lounge by one of the three interconnected, lake-style pools that boasts a shaded terrace with canopies. You're welcome. Three freeform pools connect to create a long, winding waterway that snakes throughout the property, passing tropical palms and thatched palapas along the way. The pools host volleyball, water polo, and water aerobics during the day, and a swim-up bar serves ice-cold beer and cocktails. Other water activities include snorkeling, kayaking, sailing, and windsurfing. Get ready for wave after wave of taste bud-slaying grub. There's even a spot with global cuisine and a stellar view of the blue. Hungry yet? At the Palmyra restaurant, enjoy an international buffet with theme nights by country. For something a bit more modern and chic, try the Picasso Gourmet Restaurant offers exclusive and innovative cuisine. Asian Takara Restaurant features deliscous Asian Fusion dishes, while Dolce Vita Italian Restaurant offers classic Italian favorites. Turning in for the night? Head to one of the 525, adult only luxury junior suite rooms. Your luxury room includes 24-hour room service, a hydro massage bathtub and shower with upgraded amenities, turn down service, a balcony or terrace and more. Every room is furnished with an on call-butler, 24hr room service, and a personal in room mini-bar, which is replenished daily with a range of beverages. The evening turn down service, bathrobe and slippers in your room. Don't forget to order breakfast on the balcony! When the sun goes down, the fun doesn't stop. There are bars out the wazoo around here - everywhere from the beach to the pool to the theater. Including a piano bar, Sushi bar & wet bar, plus the disco! There's more. Dive in. There's always something to do at night, with regular live music and shows, karaoke, and billiard. Don't miss out on the Ska discotheque, which plays Reggae music for you to dance the night away. A destination is certainly a fun wedding and every brides dream! This resort has the perfect touch and everything will stress-free. Imagine your photographs on this stunning beach? It will be absolutely beautiful and everything will go perfectly! 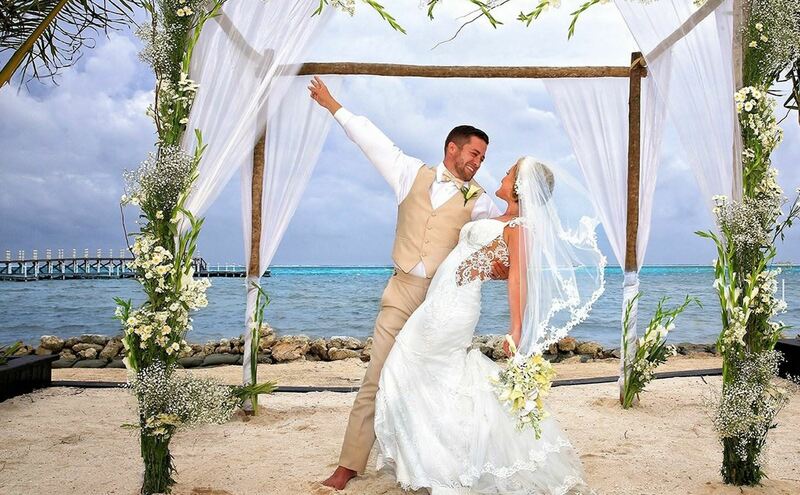 All of your guests were blown away by the venue and service of the Luxury Bahia Principe Runaway Bay! It will be an unbelievable experience - even your friends and family will enjoy the all-inclusive features. Ask our Vacation Planners for your FREE quote today. 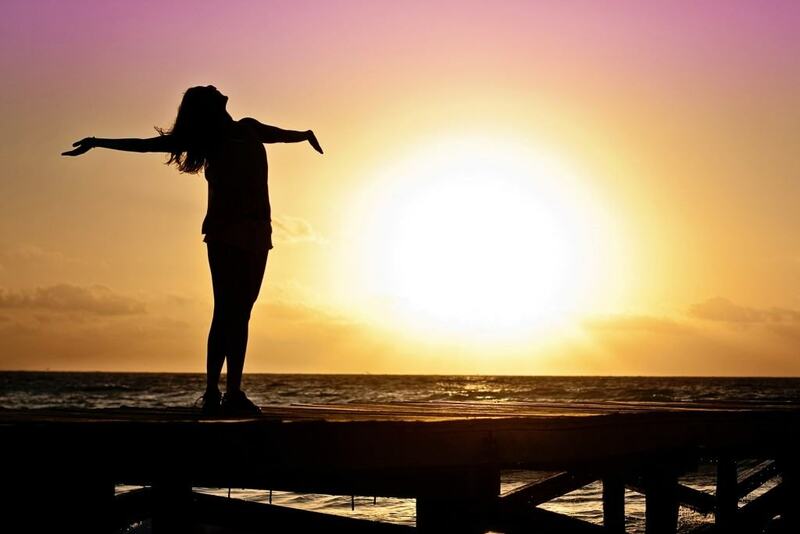 Get Out Of The Rat Race Into The Sun! Living life by your own rules is the name of the game here! And casual is the uniform of the trip! Take a look at this "HOT Deal", and you can be sleeping in till noon every day. This is a great beach destination, very tropical, and it's surrounded by the Sierra Madre Mountains, this escape-haven aka resort is where your beach dreams come true. You get it all, and more. With unlimited everything like delicious grub, tropical drinks, water sports, and more, you'll be set. You also get access to the sister resorts that are a whisper away. Seriously, there's wave after wave of Awesome here and it's all waiting for you. Puerto Vallarta/ Riviera Nayarit is synonymous with fun! You can choose from an abundance of activities, from excursions ($) to secluded beaches with coves seemingly carved just for two, others quite popular with lots of palapa restaurants, amenities and services, scuba diving expeditions and hiking, biking, eco-tours, swimming with dolphins, whale watching, and 4-wheeling. The beachfront Riu Vallarta Hotel is located near trendy Riviera Nayarit, adjacent to the Riu Jalisco and just nine miles from downtown Puerto Vallarta. With stunning art-deco architecture, stylish decor and a totally modern vibe, this exciting new all-inclusive resort is designed for couples and families and offers spacious guest rooms, a relaxing spa, a mini-club and two pools with adjoining Jacuzzis. Did someone say all-inclusive dining? You might be accustomed to the boring buffets common to Mexico all-inclusive', but there’s nothing boring about the Riu’s dining experience. Its restaurants are slightly more upscale than your run-of-the-mill all-inclusive resorts. To keep your tummy happy, in the evening, there's the "Sir George" gourmet restaurant (à la carte), "Nirvana" Asian restaurant (buffet), and The Grill Steakhouse (à la carte; buffet starters and dessert) restaurant. NOTE: Dress code pants, (jeans OK) and collared shirts for men) at the optional dining restaurants is strictly enforced. No reservations needed at any of the restaurants. The pool is an oasis of its own. Sure you can walk the few steps down to the beach, but you might not make it past the pool. The pool features inlaid marble lounge beds and tables, and the restaurants are located on the lower floors of the two towers to the right and left. One large pool is divided into three separate areas, and the middle is where travelers in need of refreshment will find the swim-up bar with seating. Lounge chairs surround the pool, and another set of stairs to the side of the pool bar lead to the beach and the ocean. Time to put that sleepy body to bed? Unplug and unwind in your casually elegant room. Riu Vallarta features 550 guestrooms appointed with air conditioning, Satellite TV, telephone, radio alarm clock, 110V outlets, in-room safe, mini-bar with liquor dispenser and a spacious balcony or terrace. There are 3 Riu hotels along the shore. The Riu Vallarta is the first one, then you can walk down the beach to the Riu Jalisco, then a few more minutes is the newer Riu Palace Pacifico. When you stay at the Vallarta or Jalisco, you can use the facilities of either hotel. When you stay at the Palace, you can use all three hotels. 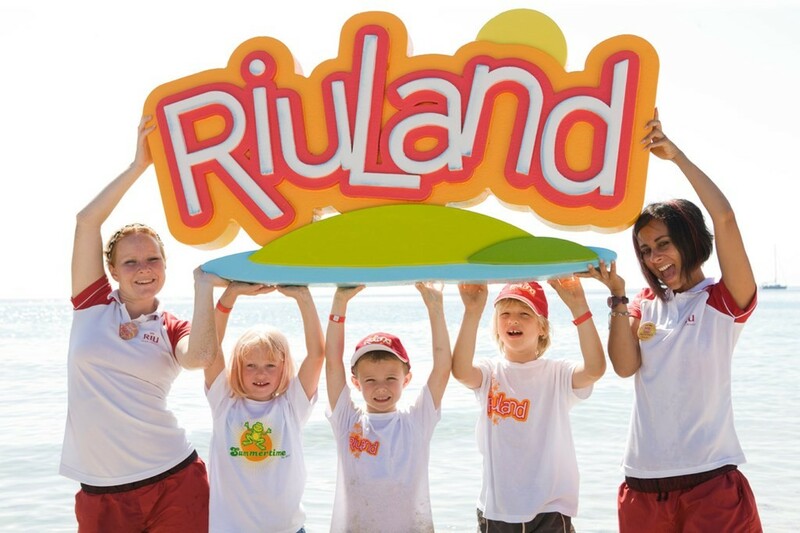 RiuLand - supervised fun for the little ones while you savor that beachtastic drink by the teal waves. The little ones will enjoy their vacation in their own kid's pool, a playground and the RiuLand kids’ club, have entertainment programs designed especially for kids of all ages - even teens.